...which really is more of a license than actual ownership, something that would be news to farmers who believed they were buying tractors. Look, you buy a tractor, it’s your tractor. There’s no weaselly “implied license” unless somehow that was explicitly stated at the time of purchase, which it was not. “For example, many farmers are forced to rely on authorized agents to repair their equipment. Companies have built diagnostic software into the equipment that prevents repairs without a code from an authorized agent. That leads to higher prices and costly delays. Again, unless you daily a tractor that you occasionally take to autocross events, this likely doesn’t apply directly to you, but such a law would set a very good precedent for the eventual passing of a more global right-to-repair law that would protect car owners who want to fix or modify the cars they own, and would keep carmakers from claiming that the software on those cars remains untouchable and unmodifiable because of overly-powerful copyright laws. 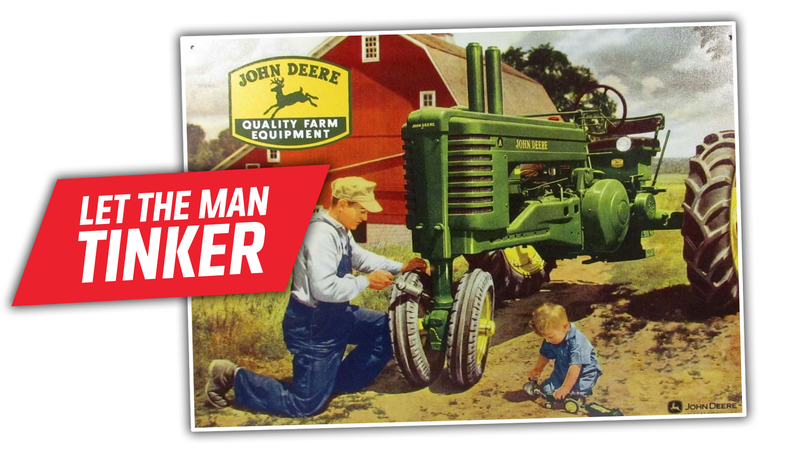 This law would be a step in the right direction for protecting the right of gearheads to tinker, repair, and modify, and hopefully follow-up laws to expand the scope beyond combines and tractors will be forthcoming. The proposed law would represent a change in strategy for the right-to-repair movement, which has so far been more focused on getting state laws passed rather than one national law. I guess we’ll see what happens.